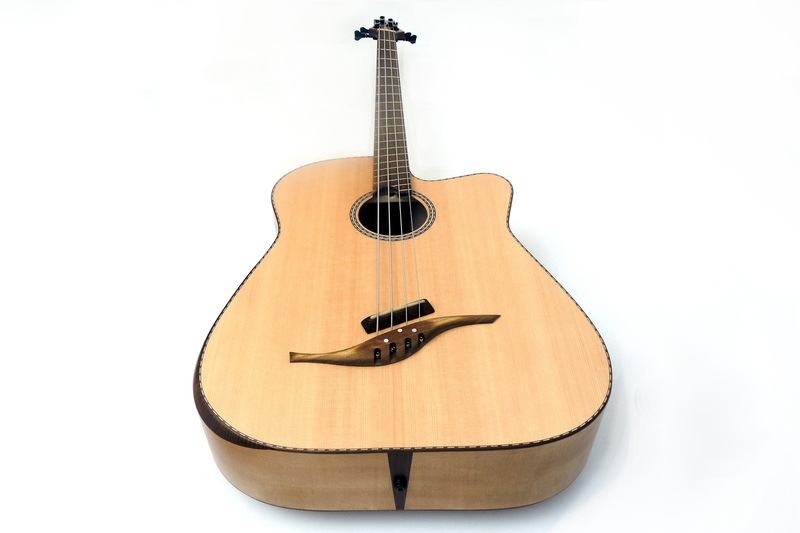 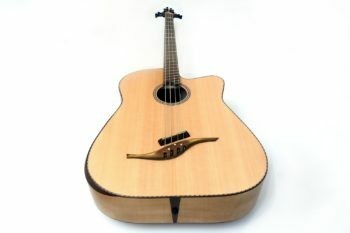 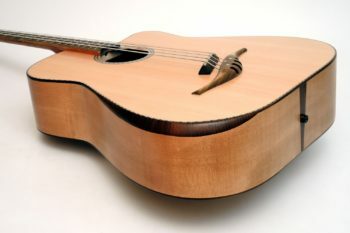 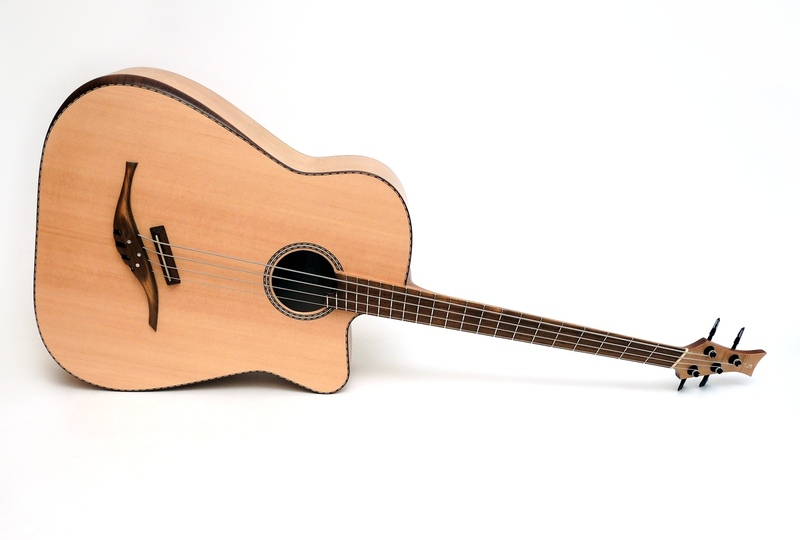 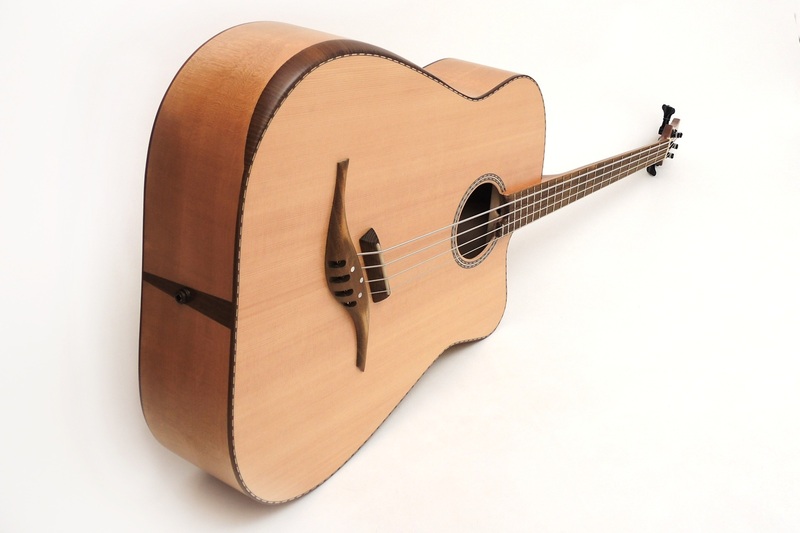 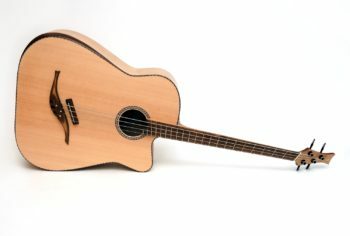 This IQ Acoustic Bass 4-string was upgraded with an armrest, also called Bevel. 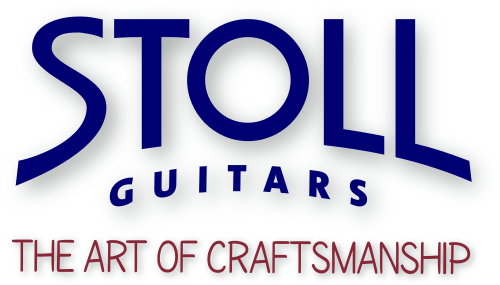 Fatigue-free playing guaranteed. 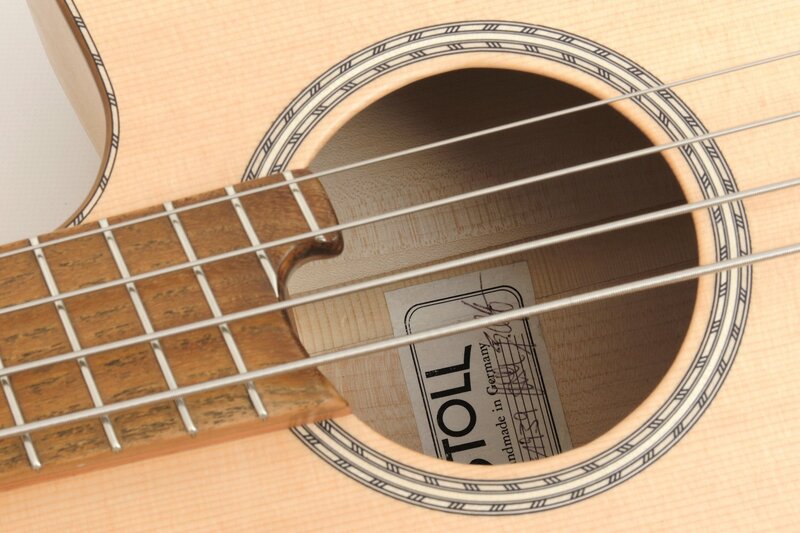 For those who like to travel with their instrument, this IQ-Bass is completely rosewood free. 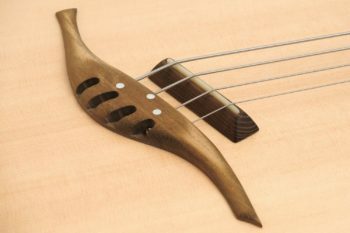 The advantage is that CITES regulations do not apply here and the buyer does not have to carry any invoice or certificate about the woods. 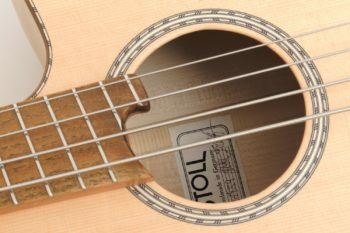 The principle of our IQ basses is the multiscale fingerboard. 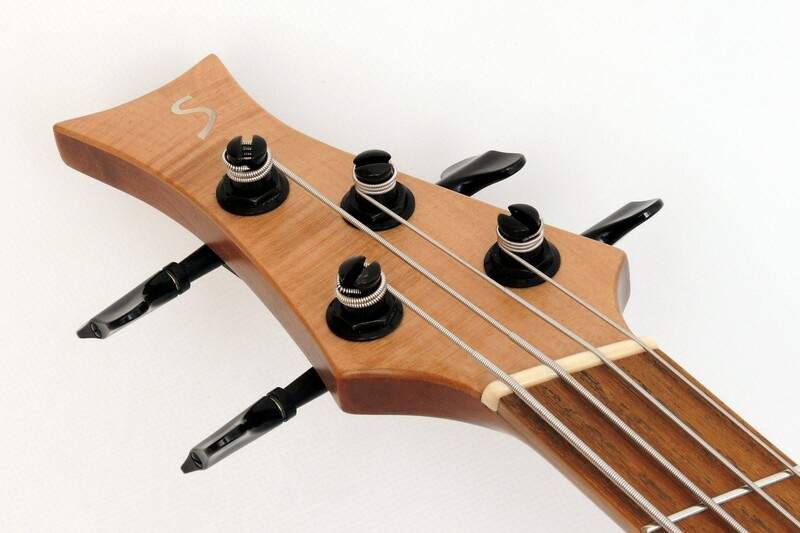 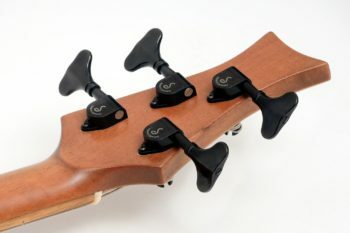 It improves playability and perfects intonation. As already mentioned, this bass is free of Rosewood. 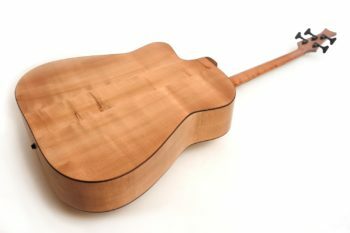 Our experiments with alternative woods have led to good results. 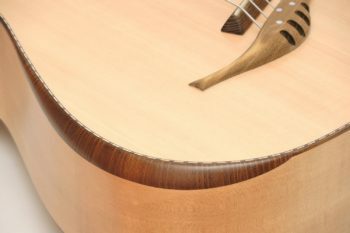 So we are able to turn Black Locust dark, in order to add a nice contrast to the Maple of the body with fretboard, bridge and bevel. The neck is made of reliable Cedro. 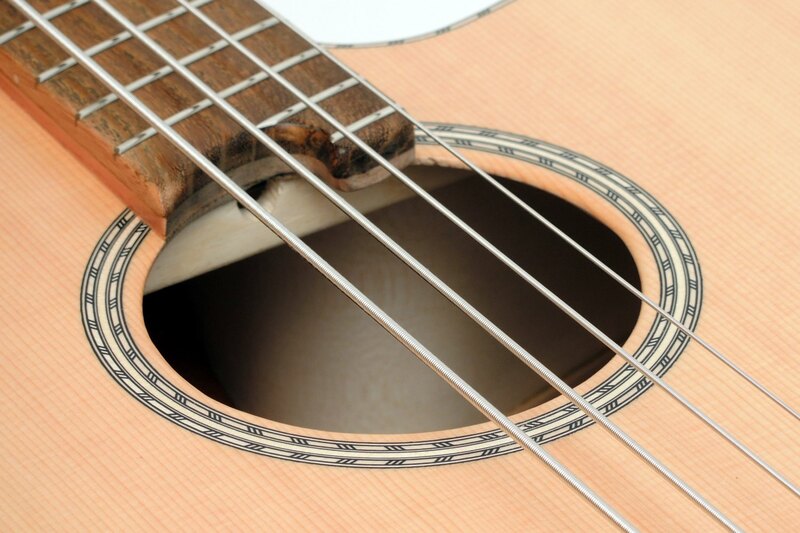 We installed an L. R. Baggs Element pickup, which reproduces the sound very pure and naturally. 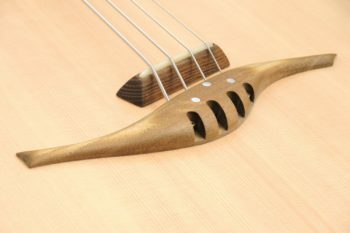 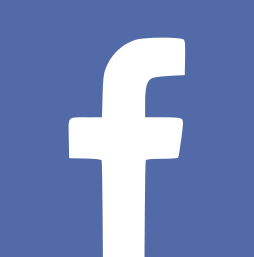 There is no influence on the sound by the bevel. 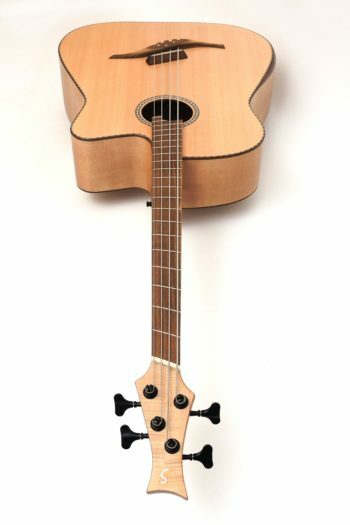 So, as with the "ordinary" IQ Bass, the sound is warm and defined and reminds strongly of a double bass. 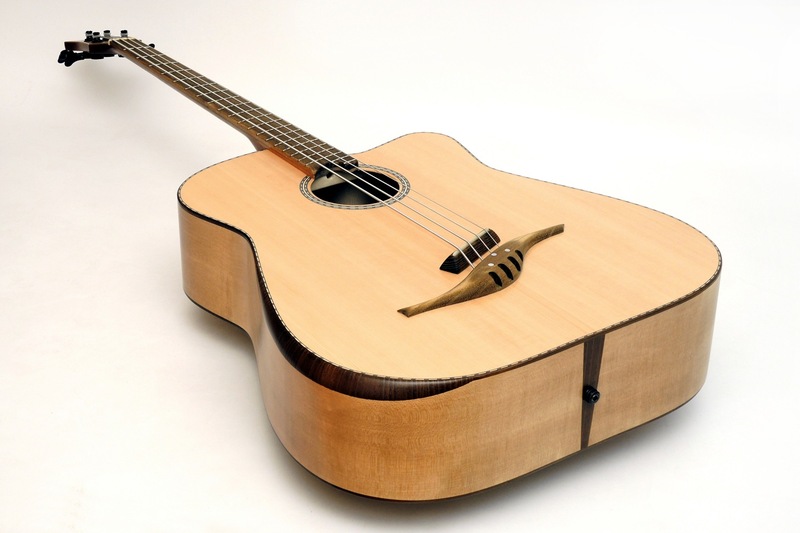  Due to its volume, it can even stand its ground accompanying a guitar without amplification.